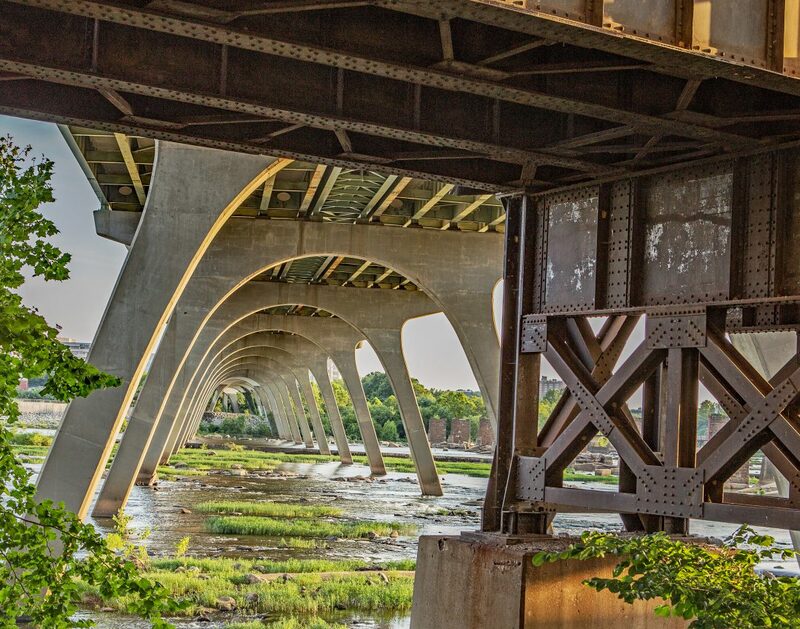 Bridges of various kinds are used to cross James River in Richmond, Virginia. Here is a combined, underside perspective of a concrete bridge and a steel one. The ebb and flow of tides is clearly evident on the shoreline of Panama City and different perspectives are created at low tide.